The Lions are not going to win games in which they allow two long kick returns for touchdowns, drop certain touchdown passes or lose fumbles when the Lions offense is on the move. Self-inflicted mistakes continue to hinder the Lions. This afternoon, and the remainder of the season, has been a huge disappointment so far. 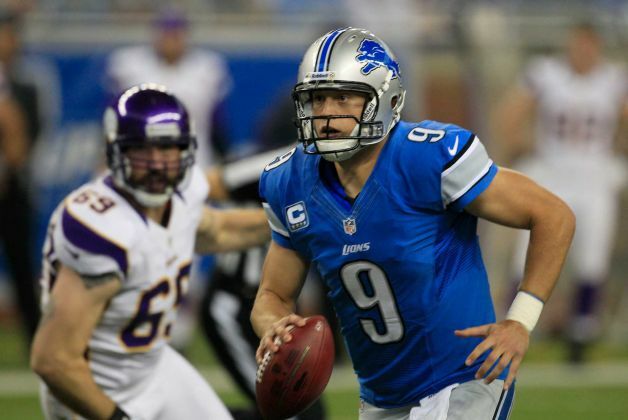 - It's on Matthew Stafford and Calvin Johnson to lead a comeback - again. But it's becoming an old tale. Last season, when the Lions were able to rally numerous times, is rare. They already have a comeback victory over the Rams this season. They need to be better prepared to start these games. - Kassim Osgood was signed to make tackles on special teams, not miss them. 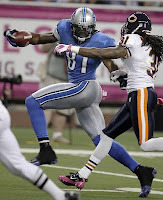 - Lions tight end Brandon Pettigrew, wide open in the end zone, dropped a perfect pass from quarterback Matthew Stafford. Surprised? That is becoming an increasingly bigger problem for the Lions, who are counting on Pettigrew to come into his own this season. - I know he is a great player, but there is, nonetheless, no excuse for allowing a back to break loose like Adrian Peterson did against the Lions' defense while pinned against his own goal line. It set the tone for a long scoring drive, which resulted in a field goal. - I'm glad the regular referees are back. Good to see them. But they shouldn't have thrown the flag on Lions' cornerback Bill Bentley for his second pass interference call. It just as easily could have been called on Vikings' receiver Jerome Simpson, from what I could tell from the replay. Better yet, the back judge should have just kept the flag in his pocket. - There have been both Cliff Avril and Kyle Vanden Bosch sightings today. Good sign for the Lions. - The Lions could have taken cornerback Josh Robinson in the second round of this year's NFL Draft. He is the Vikings' nickelback (he was selected early in the third round) and is playing very well. He had an interception vs. the 49ers last week and has made several tackles already today. Robinson, a productive college player at Central Florida, recorded the fastest 40-yard dash time at the scouting combine, 4.33. 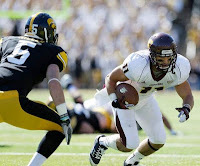 Another rookie, safety Harrison Smith from Notre Dame, is also playing well in Minnesota's secondary. The defensive backfield was a point of emphasis entering the draft for the Vikings and it is paying off. Maybe the Lions should have thought along the same lines. - The Lions got a break on the unnecessary roughness penalty involving Robinson on receiver Nate Burleson. It was a rugged tackle, that's all. - Great play call by Lions' offensive coordinator Scott Linehan to open the game with a long pass to Calvin Johnson down the middle of the field. Even if it had netted an incompletion rather than a 56-yard gain on a pass interference call like it did, it would be remembered the remainder of the game by the Vikings' secondary. It should open some things up for the Lions offensively. - I don't how much of this is on special teams coach Doug Crossman, or if it is merely blown assignments by players, but it does seem like reversing field against the Lions on punt and kick returns is working at an alarming rate. Lane assignment and not allowing the returner to break contain to the outside is Rule No.1 of special teams coverage at all levels of football. The NFL is no different. - Mikel Leshoure has surprisingly good evade skills in the open field for his size. He is running well on the edges today. - It's about time Cliff Avril made a play. - They are going to test Bill Bentley deep. Just the way it is in the NFL for a rookie cornerback. So far, he has hung in there pretty well. - This is wide receiver Jerome Simpson's first game for the Vikings. They are looking for a payoff right away. I am still amazed by his leaping touchdown with the Bengals. Regardless, if his career takes off, he'll always be remembered for it. - Where are the Lions other wide receivers? Seems to be a season-long issue. 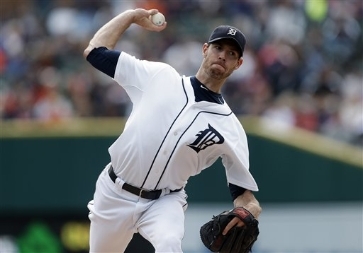 The Detroit Tigers, Max Scherzer and why nobody should be complaining about The Trade now? 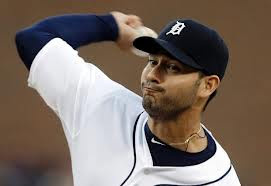 When the Tigers dealt a couple premier prospects, starting pitcher Jacob Turner and catcher Rob Brantly, to the Miami Marlins for second baseman Omar Infante and starting pitcher Anibal Sanchez, most of the local excitement centered on Infante. Second base had been a problem for the Tigers and Infante, who has been an All Star in his career and finished third in the National League in batting average as recently as 2010, is signed through next year. 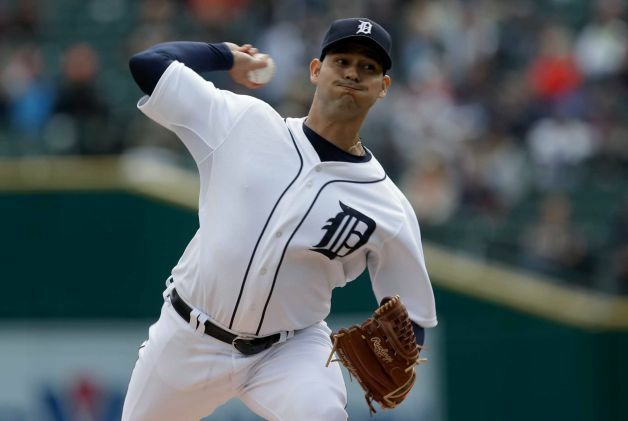 Conversely, starting pitching has been a strength for the Tigers, and Sanchez, whose career has been up-and-down, is eligible for free agency following this season. 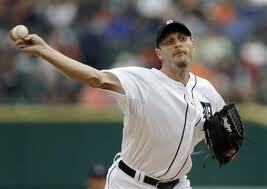 But as the Tigers have moved into first-place in the American League Central, who appears more valuable now? After a rough beginning with the Tigers, during which fans grumbled endlessly about him, Sanchez has been brilliant of late. His shutout of the Royals Tuesday was outstanding. In the meantime, Max Scherzer, who had become ace 1-A to Tigers' longtime ace Justin Verlander, is having shoulder issues. He will miss his start Friday. Rick Porcello has struggled. Drew Smyly is not ready for postseason starts. Yet, the Tigers should still have a Big Three of starters ready for the postseason in Verlander, Doug Fister and Sanchez. YOU CAN NEVER HAVE TOO MUCH STARTING PITCHING!!! 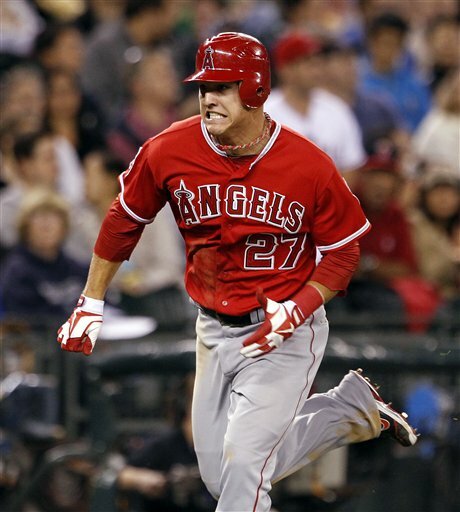 With all that was going on Sunday, I did take a glance at the White Sox and Angels game. The White Sox had the bases loaded. There was one out. It was the first inning against Cy Young candidate Jared Weaver. In was like torture for the White Sox, even though two of their better hitters were due up, Alex Rios and A.J. Pierzynski, It was as if you could sense they weren't going to get hits, or even get a run or two home. They didn't. Rios struck out, and Pierzynski grounded out. No runs scored, and the White Sox eventually lost 4-1. On the road trip to Kansas City and LA, the White Sox either hit solo home runs or they didn't score. The White Sox issues in this area, and I know this is difficult to believe, are even more pronounced than the Tigers. Defensively, the White Sox haven't been stellar, either. In KC, outfielder Daylan Viciedo butchered a ball hit by the Royals Alex Gordon which broke up a close game during the late innings. So it is difficult to get inspired by a race when two clubs are playing such uninspiring baseball. It does look like the glass is 99 percent empty in both the Motor City and the Windy City, but this is something I do think sheds light on how special it would be, regardless, if the Tigers get into the playoffs for a second straight year. It hasn't happened in Detroit since 1934-35. 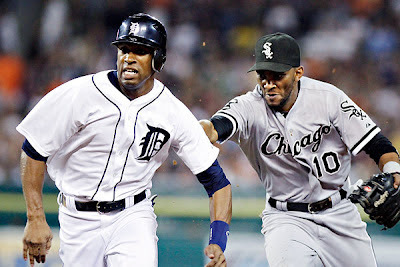 And if there was a one-game playoff between the White Sox and Tigers, it would be exciting. Getting in, even under less than enthralling circumstances, would mean the Tigers have gotten to the point where postseason baseball is their standard rather than an aberration. The race is going to get dicey this week. The pitching matchups favor the White Sox vs. Cleveland at home the next three days .The Tigers have struggled against the Royals on the road, but it should be different at home, right? The Tigers have won four of their five home games so far this season vs. the Royals. It starts with Justin Verlander tonight. Considering how the Royals hammered him recently in KC, this is one of the bigger starts of his career. With Chris Sale working for the White Sox tonight against Cleveland, the Tigers need Verlander more than ever. 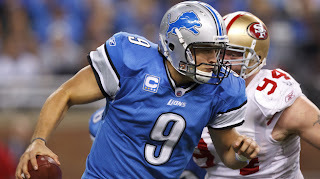 - The Lions finally opened the playbook and moved down the field quickly for a score. Anybody surprised? Their play-calling should have been more like that in the first half. The Lions' bread and butter is setting up the run with the pass, not the other way around. Calvin Johnson just can't be stopped. - Titans QB Jake Locker is throwing the ball well today, but the Lions have lacked a significant pass rush, making his life much easier in just his third NFL start. The Lions' secondary is not playing well, but is not being helped by the defensive line. 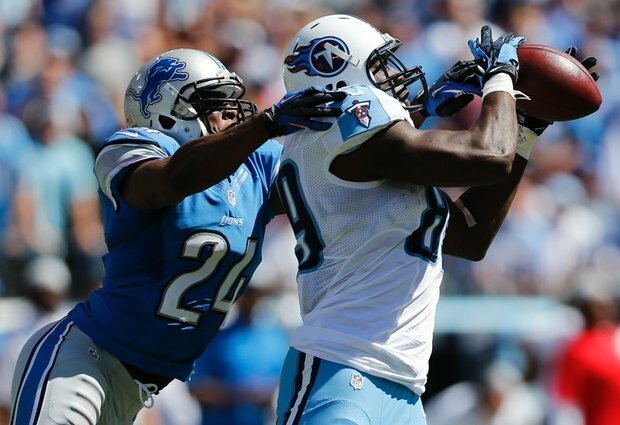 - The Titans are targeting Lions rookie cornerback Bill Bentley, which is to be expected. He has hung in there OK so far. - The Lions are very, very fortunate the Titans have missed two field goals. What a break. It could be a game-deciding factor. - Nate Burleson is playing well today. He still has something left in the tank. - The last drive of the half by the Titans was embarrassing for the Lions' defense. The late hit on Stephen Tulloch was untimely, to say the least. Ditto for the penalty on Kyle Vanden Bosch. There were 23 yards right there. There have been too many unnecessary mistakes. - For a big-play offense, the Lions are settling too easily for field goals. They are not going to win games, a lot of them anyway, settling for three points at a time. That's been a major problem the last game and half, especially when it comes to not taking advantage of turnovers. - Football is a game of leverage deep and to the outside. The Lions let the Titans break their leverage by reversing the field with a lateral on Tommie Campbell's punt return for a touchdown. They let the Titans break leverage deep on the long touchdown pass from Jake Locker to tight end Jared Cook. The Titans obviously saw something on Detroit's punt coverage in which the Lions didn't stay in their lane and were not attentive enough to contain outside. There is no excuse for a safety, Erik Coleman in this case, to not make a tackle on the long TD pass. - Mikel Leshoure is running hard and well. He should the Lions in the long run. That was a Lions' bright spot in the first half. - The no-huddle offense is something that should work for the Lions. I'm surprised it wasn't more effective in the first half. - The Lions are missing big plays offensively. They have too many weapons to use only long drives to move the ball. Their offense, surprisingly, has lacked an explosive element to it so far this season. The way this game is unfolding suggests Michigan is more than flirting with disaster. Twice they have been in the scoring zone and come away with no points. Also, five interceptions for an entire game, let alone during the first half, is cause for a loss on the road. The Wolverines are beyond fortunate to still be in this game. - Denard Robinson threw the ball very well on one drive. After running Vincent Smith threw the interception on the halfback pass (what an awful play call by Wolverines' offensive coordinator Al Borges), it was like Robinson came unglued. There is no excuse for that as an elite player and a senior, who is Michigan's leader. If he doesn't play much better, the Wolverines have no chance. He is their offense. Period. 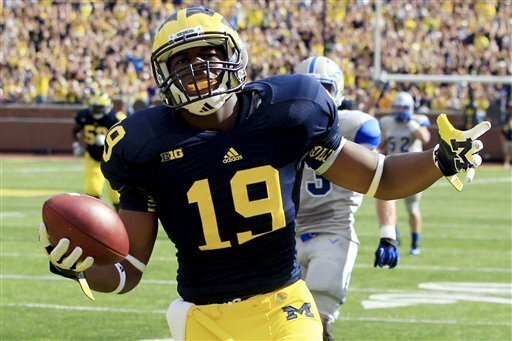 - What's with Fitzgerald Toussaint and Michigan's run blocking? It couldn't be worse. Michigan's offensive line has been its most disappointing unit so far this year, especially in this game and vs. Alabama. - It's interesting how Notre Dame is not blitzing Robinson. The Fighting Irish are not sticking to the blue print that worked so well for Michigan and Alabama against Robinson. They are bringing pressure, but it is working out very well so far. - It was a wise move to by Notre Dame coach Brian Kelly to bring QB Tommy Rees into the game when he did. Everett Golson wasn't getting it done. And Rees, a former starter who got into trouble off the field during the off season, is motivated. Also, he played well for ND late in a victory over Purdue. - Honestly, I feel more like both offenses are playing poorly rather than each defense is playing well. Linebacker Jordan Morgan has been excellent for the Wolverines. - Notre Dame's Manti Te'o is one of the best college linebackers I have ever seen. He dominated the Fighting Irish victory over Michigan State, as well. He is a truly great player. - Remember, the Wolverines were down 24-7 to Notre Dame last season before coming back. The situation tonight is desperate, sure, but not hopeless for Michigan. Lets put it this way, it should be a lot worse. History would suggest Tigers third baseman Miguel Cabrera needs one of two things to occur in order to win the American League Most Valuable Player Award: The Tigers making the postseason and/or Cabrera becoming the first triple crown winner (leading the league in batting average, home runs and RBI) since Boston's Carl Yastrzemski in 1967. - Albert Pujols, Cardinals, 2008: .357-37-116-1.114; 86-76 and 4th in NL Central. - Ryan Howard, Phillies, 2006: .313-58-149-1.084; 85-77 and 2nd in NL East. 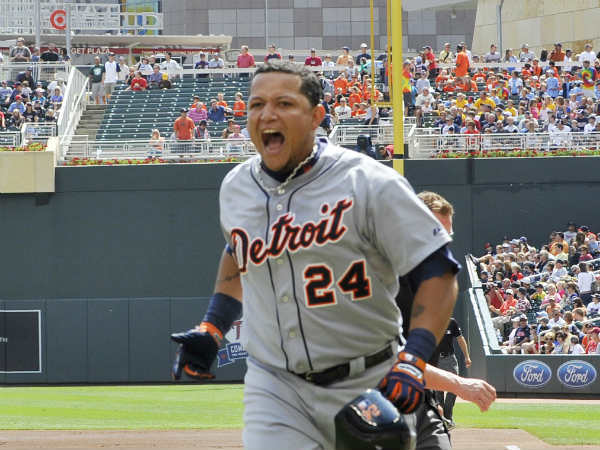 Cabrera's projected numbers for 162 games this season are .333-44-142-1.008. The Tigers are on pace to finish 86-76 and 2nd in the AL Central. A couple things about the above-mentioned players. The one MVP that really standouts as not belonging is A-Rod in 2003. That was an awful team. His OPS wasn't even 1.000 nor his batting average .300. Rodriguez won a close race for MVP that year with Toronto's Carlos Delgado, who actually had a better season statistically (.302-42-145-1.018), but his Blue Jays didn't make the playoffs, either. Yankees catcher Jorge Posada was third and Toronto outfielder Shannon Stewart was fourth. It wasn't exactly an "A" list season for AL MVP candidates. Regardless, in hindsight, it seems ridiculous A-Rod was named MVP given his team was also 20 games below .500. All the other non-playoff team MVP winners since 1995 were better than Cabrera has been this season in OPS. Otherwise, the numbers are comparable. There were a couple ridiculous numbers in there power-wise from Howard and Bonds. - If Cabrera wins the Triple Crown, it would be automatic he'd go first on my ballot. It would be a rare accomplishment that cannot be overlooked. I wouldn't care if the Tigers lost their last 15 games. - If Cabrera doesn't win the Triple Crown and the Tigers do get into the playoffs, and his remains on this relative pace the rest of the season, and Mike Trout doesn't do something extraordinary from this point forward, I'd likely vote for Cabrera. - If Cabrera doesn't win the triple crown, and the Tigers do not make the postseason, I likely wouldn't vote for him. Same with Trout. It's not like those two are not on really good teams overall. They are. How valuable can they be then if they don't lead their teams into the postseason, especially when there has been a wild card team added. The Rangers Josh Hamilton would probably get my vote. 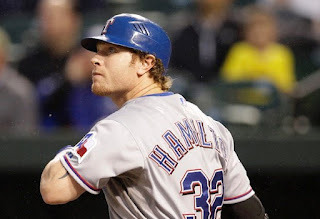 Hamilton's red-hot start this season did propel the Rangers so far in front of the rest of the AL his team's spot in the playoffs hasn't been in question for months. However, the one number I do find disconcerting about Hamilton is his OPS. It is below 1.000, but not that much off from Cabrera at this stage. The last two games, at Cleveland and Chicago, were disasters for the Tigers. The Tigers have become the classic example why fielding is too often overlooked when evaluating a ball club. Count me among the guilty in that regard. But the race isn't over just yet. - Last season, Tampa Bay was 3.5 games out of the AL wild card spot with 16 games to go and got in. Also, in 2011, the St. Louis Cardinals were 4.5 games out in the NL wild card race with 16 games remaining, and not only reached the postseason, but eventually won the World Series. 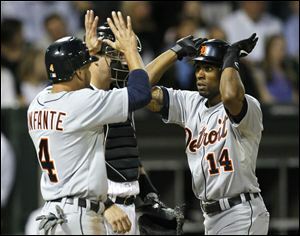 - In 2009, the Tigers had a four-game lead with 16 games remaining in the AL Central standings. We all know what happened in Game 163 at Minnesota. Also, the schedule does play into the Tigers' favor. This week's three-game series against the A's couldn't be bigger because Oakland is the last contender the Tigers will face. - What do the Lions and the Michigan State Spartans have in common this weekend? They can't get inside the red zone. Detroit's offense has been a huge disappointment. The 49ers defense is good, but not that good. The Lions defense has played better and has actually kept them in this game, but is in danger of being worn down. - Did the Lions have the ball in third quarter? Didn't seem like it. The 49ers are methodically taking time off the clock. It is classic 49ers' football as we've come to know it the last two seasons. It is a very balanced, but safe offense. Not a lot of risk for turnovers. But that's the benefit of being able to establish the run. - It's amazing how much confidence the Lions have displayed in Joique Bell as an inside runner, and he has justified their faith in him, for the most part. He does usually get a yard or two after the hit. There is no doubt, though, this is the type of game the Lions had in mind they traded up from the third round into the second round to select Mikel Leshoure and his 230-plus pounds in the 2011 draft. - The Lions are fortunate they aren't behind by a wider margin. They didn't play very well in the first half. The 49ers were, by far, the superior team. - I'm surprised the Lions stuck with a traditional running game as much as they did during the first two quarters. It's almost like banging their collective heads into a brick wall against the 49ers' defense. - There are a number of reasons you can envision Lions quarterback Matthew Stafford missing on passes. Poor fundamental throwing technique is not one of them. But Stafford has side-armed a couple throws and the ball sailed on him. During the first half last week in the season opener vs. St. Louis, he was surprisingly inaccurate, as well. The Lions live and die by Stafford. If he doesn't play better in the second half, neither will they collectively. And unlike the Rams, the 49ers aren't going to let the Lions hang around so Stafford can go into his Captain Comeback routine again. 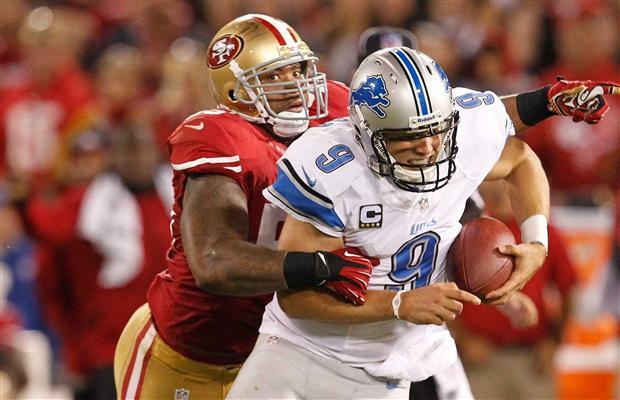 - The Lions got a huge break on the fumbled kickoff return by the 49ers Kendall Hunter. Settling for a field goal there, however, was a setback. Jason Hanson missed a very field goal, as well, after a Detroit drive that lasted more than five minutes. Those are essentially seven points the Lions left on the board. They can't win this football game doing those type of things. The Lions also turned a 49ers' field goal into a touchdown because of a roughing the kicker penalty. - The Ravens lost to Philadelphia today, but in watching that game, I kept thinking about how their defense hits harder than any in the NFL, even the Steelers. I'm not so sure watching this game tonight. The 49ers just hammer people to the ground. - Ndamukong Suh is a bright spot for the Lions so far this early season. His first-half sack should have more impact than it did. - I'd say Notre Dame has this game in the bag, but I saw the Fighting Irish with a huge lead and in control of the game under these very circumstances last season, except at Michigan. This game is far from over. 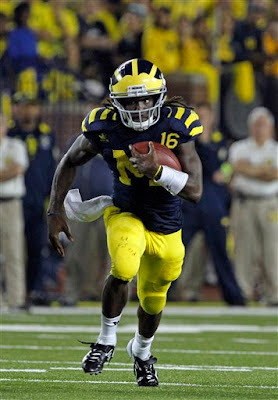 The one difference: Michigan had a great playmaker on its offense in quarterback Denard Robinson. Who can makes big plays on MSU's offense? But the way the Spartans are setup, the big plays should be coming from their defense, right? - I don't know who has been more underwhelming so far tonight, MSU QB Andrew Maxwell or his wide receivers, although that catch along the sideline late in the quarter by Keith Mumphrey was a brilliant one, and could have been more timely. Common football sense dictates when a team is behind, it has to throw the football more often. This is the type of game when MSU will find out if it has the real deal at quarterback in Andrew Maxwell. The "inexperience" card has been overplayed. He has been in the program for four years, he was a four-star recruit, and he has two full games under his belt. You will know a lot more about Maxwell when this game is complete. Notre Dame has been very well prepared for this game on both sides of the ball. It's a credit to Brian Kelly. The Spartans will have to gut it out if they are going to win the game. Lack of experience doesn't seem to be hindering ND QB Everett Golson, does it? But this works both ways. Will Kelly pull back on letting Golson sling it down the field, especially after a couple near interceptions at the end of the first half? - Third and 10, near the end of the first half, and MSU's defense allows a rushing first down? The Spartans defense hardly lived up to their lofty reputation during the first half. - Man, Lawrence Thomas turning his 295 pounds up field with the ball is like watching a freight train. It can't be fun for safties to come up and tackle him. - Hey, begger's can't be choosers, but a 13-play, 43-yard scoring drive that lasts more than seven minutes when trailing by two touchdowns in the second quarter doesn't exactly qualify as impressive. - Notre Dame quarterback Everett Golson's touchdown pass to John Goodman was a brilliant play. It was kind of a version of Brett Favre's pass to Sterling Sharpe in the playoffs to defeat the Lions years ago, only to the opposite side of the field. The roll-right-and-throw-deep-down-the-field-to-the-left-side play was even more impressive in a certain way because MSU cornerback Johnny Adams was not beaten badly (like former Lions' cornerback Kevin Scott was). Golson had to drop the ball into Goodman, who had only one catch this season entering Saturday, and only 15 last season, perfectly. You can see why Notre Dame coach Brian Kelly has elected to go with Golson over Andrew Hendrix and Tommy Rees. His talent is obvious. He moves well, but doesn't seem to be a runner. He does a good job of keeping his eyes focused down the field and can throw on the run. - Both defenses began the game by crowding the line of scrimmage and inviting inexperienced quarterbacks to throw the football. Notre Dame immediately took shots deep down the field with Golson. Michigan State seems more hesitant with its QB Andrew Maxwell, but that is probably because the Spartans have more confidence in their running attack. Look for Maxwell to use play-action and throw deep in the second quarter to try to loosen up Notre Dame's defense. 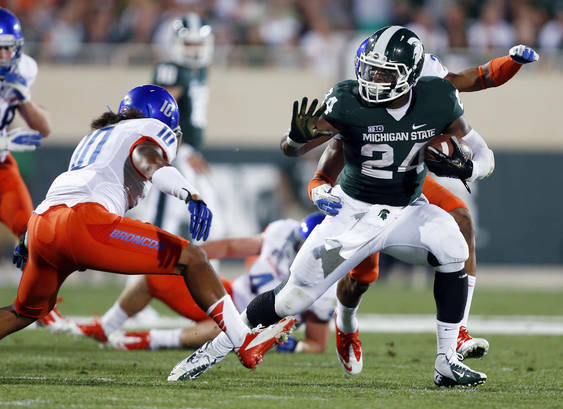 - Michigan State running back Le'Veon Bell against Notre Dame linebacker Manti Te'o has been a tremendous matchup. There is a lot of old-school football being displayed each time Bell gets the ball. It's been a very hard-hitting game so far. It 's odd the only team the Tigers can beat in this so-called "pennant race" between the tortoise and, well, the tortoise is the Chicago White Sox. The Tigers have won five of six games from the White Sox in recent weeks. In their other games since Aug 28, they are 1-8 against the Royals, Indians and Angels. It's led to the Tigers essentially falling out of the wild card race. It's either finish ahead of the White Sox - or bust. It's difficult to imagine it will be bust given the White Sox ineptitude. It's apparent winning the AL Central is not going to require a monumental achievement. The Tigers have one tough series left, against Oakland, but it's at home, which has been the biggest factor in Detroit's success or failure this season. 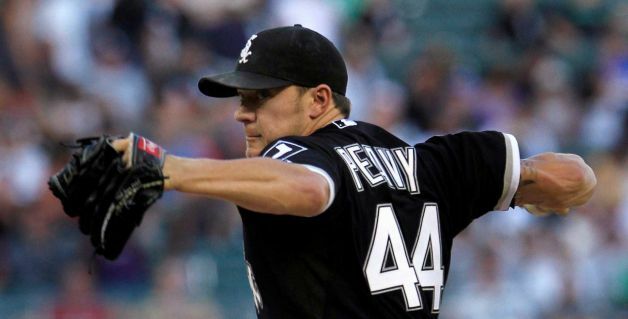 The White Sox have two series against contenders, at the Angels and hosting the Rays. Can the Tigers beat the Indians this weekend? Seems like a ridiculous question considering no club in baseball is playing worse than the Tribe. The Indians won a three-game series from the Tigers just last week at Comerica Park and are 5-1 vs. Detroit in Cleveland, though. Can the Tigers beat the Royals? The Royals have had a tremendous impact on the AL Central race by routinely and methodically winning against both Detroit and Chicago. Oh, but the Royals are 12 games below .500. Can the Tigers beat the Twins? We all know what the Twins have traditionally done to the Tigers at points that matter. Ah, come on, the Twins, like the Indians, are 25 games below .500. In the bigger picture, those are all bad baseball teams. If the Tigers can't beat them, or beat out the White Sox to win the division, it would be a crushing blow to baseball in this town like few others. As for the White Sox, for all the criticism Tigers manager Jim Leyland justifiably has gotten lately for his goofy lineups that didn't work and his fans don't know "bleep" about the lineup comment, White Sox manager Robin Ventura's handling of the White Sox bullpen this week has been awful - especially the move where he used deposed starter Francisco Liriano late in a close game Tuesday, which appears to be the turning point of the season. I strongly feel this about the Tigers: They just need to get into the playoffs. If they get in, their chances of advancing are as good any club in the AL other than Texas. It's because of their starting pitching. Of course, it all hinges on Justin Verlander performing at the standard he's set, but didn't live up to in two of his last three starts. We'll know about whether Verlander's recent struggles are a trend or an aberration after tonight. There were milepost games last season for the Lions. The ones that defined how far they've come were the Monday night win over the Bears, improbable comeback victories at Dallas and Minnesota, and clutch late-season wins at Oakland and over the Chargers. One of the games that defined how far the Lions still have to go was a home loss to 49ers, who they face on Sunday Night Football this week at San Francisco. The Lions were 5-0 when the 49ers visited Ford Field last year. Their offensive line marginalized Detroit's defensive line, running back Frank Gore ran downhill like an out-of-control freight train and Matthew Stafford was transformed from extraordinary to ordinary by a persistent 49ers pass rush. that sacked him five times. Then, at the end, there was "Handshake Gate." The Lions were a bit unnerved after that game, and were never quite the same the remainder of the season. A lot of that was due to injuries in the secondary, and an inability to stop opposing passing games, but some of it, at least, was the 49ers showing the world the Lions aren't that good. The 49ers haven't taken any steps back. They may even be better this season. Their victory Sunday at Green Bay suggests so. Are the Lions any better? There couldn't be a better test to find out than Sunday at San Francisco with the whole world watching. - The Tigers are on pace to win 85 games. Given their overall talent, large player payroll and no significant injuries the second half of the season, there is no excuse for it. There is no other way to present the Tigers than they are underachieving. They should be running away with the AL Central title. - Manager Jim Leyland, working on a one-year extension signed last summer, has come under fire, and it is justified given some of the goofy lineups he has posted the last week, and his reaction to questions about it, which presented the wrong demeanor at the wrong time. There is a reason managers rarely are placed in situations that have them on the final year of their contracts. They are vulnerable to a groundswell of support for their removal. It is coming strongly from the fans, who are understandably frustrated. The Tigers have a good clubhouse, but it could at some point come from the players, too, even though they like and respect Leyland. He was already in a vulnerable spot to be a scapegoat, but it is even more the case now because of issues that have been self-inflicted. 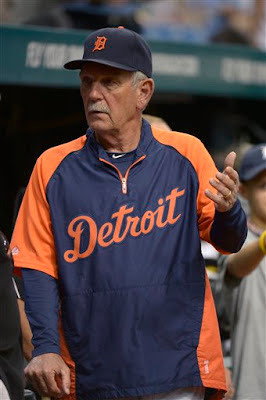 In the three games Leyland rolled out his unconventional lineups, and after he proclaimed the fans and media don't know "bleep" about making out the lineup, the Tigers not only lost, but they didn't score many runs. His moves simply did not work. - People can't help but speculate about candidates to replace Leyland. At the head of the list will be Tom Brookens, the first base coach. He has strong Tiger ties, has managed successfully in the minor leagues in Detroit's system, but isn't tied to Leyland from the past. Brookens is also highly-regarded by Tigers owner Mike Ilitch. - A wildcard spot may be slipping away from the Tigers, even with two available this season, but they still have essentially an even shot at winning the AL Central. The White Sox have been equally bumbling lately. If the Tigers split or do better this week during a four-game series starting tonight at Chicago, they should be in good shape for the stretch run. - The key is getting into the tournament. If the Tigers reach the playoffs, their chances, in my opinion, are as good to reach the World Series as any other American League club except Texas. The reason: Their starting pitching. - The Rams have essentially shortened this game to one quarter. If this were a basketball game, you would say they have effectively had control of the tempo. The Lions aren't getting the so-called fastbreak baskets that were expected and been hindered by the interceptions. Most of the third quarter was ugly football, and it played into the hands of the Rams. 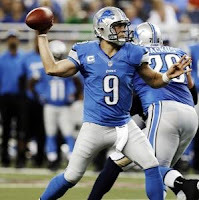 - Lions quarterback Matthew Stafford isn't sharp. He's been off target on more throws than usual. He's hung a couple balls in the air too long, as well, which is unusal for him. - The Lions defense has been a bright spot, but I'm not so sure it is because they are that good or the Rams that bad. - One interception, OK, it happens. Two interceptions? That's a trend. Three is brutal. And it was almost four. The Rams are jumping short routes and Lions QB Matthew Stafford must do a better job of taking care of the ball, period. The only thing keeping the Rams in this game is turnovers. It is the only thing that will keep them in it. Otherwise, this will become a rout. The Lions need to throw deep, and finally did on the 51-yard pass from Stafford to Calvin Johnson. - Allowing touchdowns instead of field goals is the best thing the Lions have done so far this afternoon. The Lions' secondary has been OK. Any struggles the Lions have had are not on the defense. - The pace of the game, despite the use of replacement officials, has been surprising crisp. - Simply put, it was a great moment when Wayne State's Joique Bell scored his touchdown. It's clear the Lions' coaching staff has faith in him or there is no way he would have been handed the ball in that situation. His jump into the stands was priceless. That was real emotion. Nothing phony there. - There is no excuse for Lions' receiver Titus Young getting a personal foul penalty on the Rams' cornerback Corland Finnegan's interception return for a touchdown. It was away from the play and served no purpose whatsoever. - The Lions' offense looked terrific until the ill-fated pass by quarterback Matthew Stafford that was intercepted by Rams' rookie cornerback Janrois Jenkins, who made a great play on that ball. He crowded the receiver perfectly. Stafford was throwing to the back shoulder and it wasn't there. The best part of that play from the Lions' standpoint is Stafford didn't get hurt trying to make a tackle. It was a similar play last season on which the Bears lost Jay Cutler for the year. - The Lions' depleted secondary is playing off the Rams' receivers. The short, quick passing game is there, and St. Louis quarterback Sam Bradford took advantage on a scoring drive for a field goal. - I like how Lions' offensive coordinator Scott Linehan takes advantage of reverses in the running game. Also, Kevin Smith is running the ball well. He looks fairly quick. - The biggest issue with Michigan is its defense not its offense. You can blame it on facing a triple option team all you want, but there are no excuses for this type of performance by UM's defense. 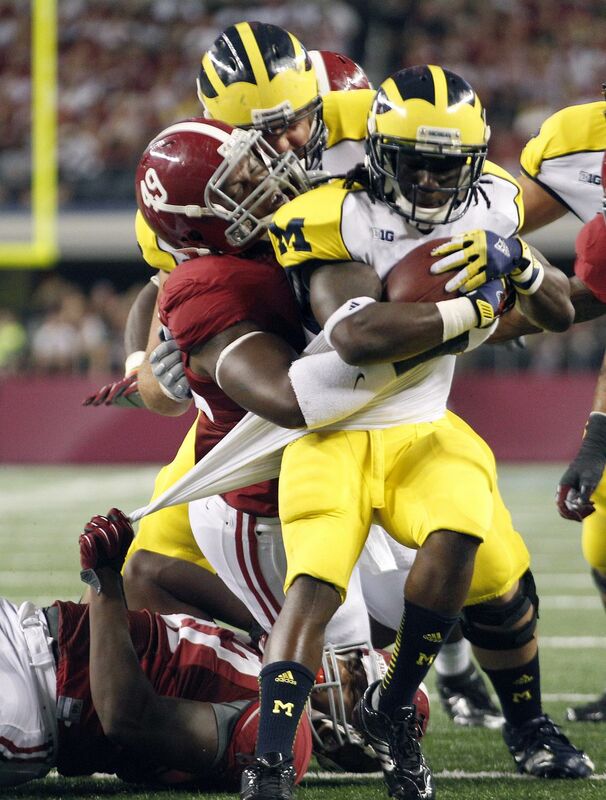 - Can you imagine if Denard Robinson were not quaterbacking the Wolverines? Air Force would own this game. The problem isn't so much Robinson not running the ball enough, which so many claimed after the Alabama debacle, it's that he carries it too much. The Wolverines have gone back to being a one-man team. It's not like if John Navarre or Chad Henne were quarterbacking the Wolverines, they would be better. - Air Force's lack of a passing attack is particularly evident inside the 20-yard line. It's like when the field is shortened, the Falcons are no passing threat at all. - Michigan's run-blocking on conventional rushing plays by RBs has been awful early this season. There just hasn't been room to run. - Losing leverage to the outside consistently has hurt Michigan's defense. Too often, the option concept have been there, the run or pitch for the QB. If Michigan's defense funnels the ball into the middle of the field, they will contain the Falcons. But not if their contain elements are broken at the edges. 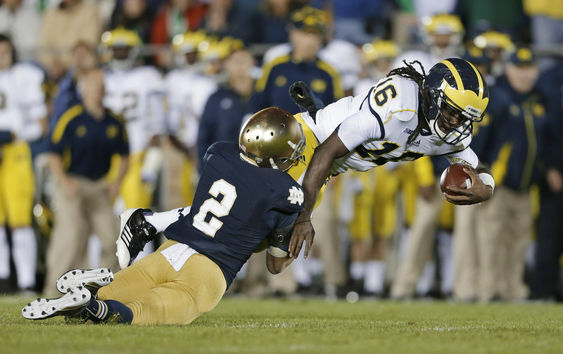 - Michigan QB Denard Robinson doesn't get credit when things go right. He is only criticized when they go wrong, even if it isn't his fault. If he continues to have a solid game today, it will be said, "It's only Air Force." It's not fair. He has been, by far, the best and most productive player on the field today. - If there is a criticism I have of Michigan's offensive play-calling so far today is that they haven't handed the ball to their running backs, particularly Fitzgerald Toussaint, enough. Last season, when the Wolverines really got their offense cranked up, it was largely because of the balance between Robinson and Toussaint as weapons. - It's apparent receiving the ball is not one of Michigan running back Vincent Smith's strengths. Wow. That interception was on him and changed the momentum of this game. - The old-fashioned triple-option, veer, whatever-you-want-to-call-it offensive scheme Air Force deploys plays right into the hands of Michigan safety Jordan Kovacs. He gets a lot of tackles anyway, but look for him to garner even more than usual today. It doesn't appear as if Air Force is capable of burning Michigan deep with its passing game, and Kovacs is already creeping toward the line of scrimmage. 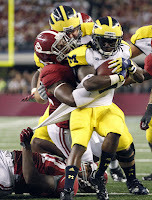 - Denard Robinson's touchdown run was almost too easy, but it does point out his superior athleticism. It's something too many Michigan fans, in my opinion, have taken for granted. It also blurted out the obvious: Air Force, and most defenses across the nation, don't have nearly the same caliber of athlete they are currently featuring at Alabama. - It's understood Air Foce's offense is much different than most in college football. However, the Wolverines have still been too soft defensively. Michigan is fortunate it has not allowed two scoring drives already. The Wolverines still have plenty of work to do defensively. - It's noticeable how much faster the pace of Air Force's offense is compared to that of Michigan. The Falcons are much quicker in and out of the huddle, etc. I'm sure it's by design. It has put the Michigan defense on its heels. The danger for Michigan, in the aftermath of the Wolverines' 41-14 loss to Alabama, is forgetting this is still Denard Robinson's football team. One game has been played, yet there is already an inordinate amount of talk about the Wolverines "quarterback of the future." Robinson is a senior. His development has been three years in the making. He should be just fine this season and is still a big edge for Brady Hoke's program, not a hindrance, which, predictably has become chic to portray him as since the debacle vs. Alabama. His passing skills are getting trashed unfairly this week. It wasn't like he was missing wide open receivers against Alabama. The notion Wolverines' offensive coordinator Al Borges should have just turned Robinson loose like a "wildcat" tailback against Alabama's defense has been overblown. Robinson didn't play well. Michigan's game plan was flawed on a number of different levels. But that game was bottom-line simple: Michigan was just whipped upfront on both sides of the ball by Alabama, and the Wolverines' weapons at wide receiver and running back, and play in the secondary didn't match up well, either. That will not be the case in the future to anywhere near the same degree, especially with running back Fitzgerald Toussaint expected back in the lineup. As for the quarterback of the future, it's already been widely pronounced as Shane Morris, the lefty with the cannon for an arm at Warren De LaSalle High School. 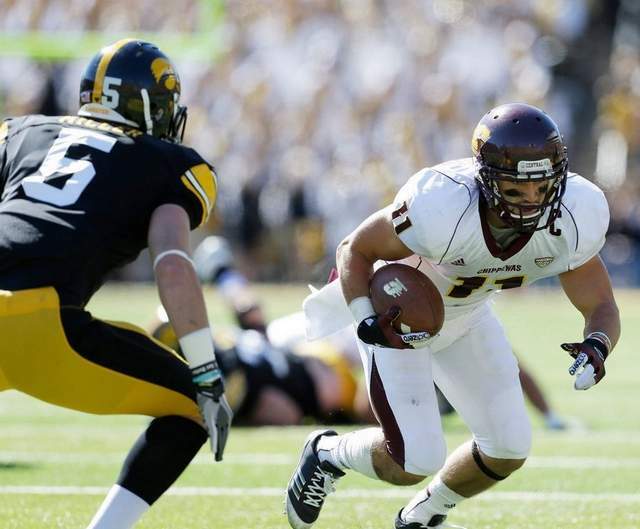 He was 9-of-22 for 104 yards in a 49-13 loss to Ohio powerhouse Cleveland St Ignatius. 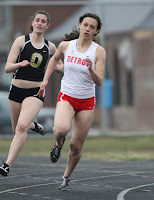 De LaSalle is a solid program, but they were overmatched in this one particular game. Morris, who is still every bit the top prospect he was entering that game, kind of became one-player against the world. Denard Robinson, Shane Morris, doesn't matter. It takes more. The percentage would be 99.99 of the time when Tigers manager Jim Leyland is asked a straight question about his lineup, or anything else, he gives a straight answer. But when he goes off on a condescending rant like the one before Tuesday's game vs. Cleveland when questioned about a truly questionable lineup, it does cause much self-inflicted damage to his reputation. Fans in this town care so much about the lineup nightly because they care so much about the team. It's the first week of September and they are neck-and-neck against the White Sox with the expectation from the onset of the season the Tigers would win the AL Central. When Leyland rests a 25-year-old center fielder, Austin Jackson, the third-best position player on the club one day, and the team's hottest hitter recently, Delmon Young, the next, both for players who could easily be in the minor leagues, Quintin Berry and Don Kelly, there are questions. The media asks those questions. The answers aren't always accepted as gospel. They are second guessed. Fans have every right to do that. Ultimately, they do pay the freight. It is be expected. It is part of the media's responsibility to not only ask those questions on behalf of their readers or listeners, but analyze them honestly when in the role of columnist or commentator. If there is anybody who should understand this, it's somebody who had managed baseball professionally since 1970, and been in major league uniform for the better part of 30 years, like Jim Leyland. When a team is in trouble is when nobody cares what the lineup is. There have been too many years when filling out the lineup card in September in Detroit was the easiest managerial task in baseball, the chance of second-guessing nil. You know, before the Tigers were not selling out each night, prior to their broadcast ratings sky-rocketing and when baseball was left for dead in this town. 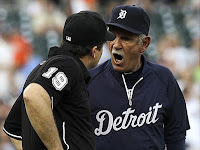 Until the last couple days, I felt this was Leyland's best job of managing with the Tigers. It was a very rough early season when Jackson and Doug Fister were out, every umpiring call or break went against the team and it was just floundering overall amid expectations that were exceptionally high after last season's playoff run and the subsequent signing of Prince Fielder. There weren't goofy lineups or outbursts toward the fans or media like there had been in the past, which were few and far between, but drew much attention. Leyland was a calm hand at the wheel and navigated the Tigers through what could have been a perfect storm for disaster. OK, so now the Tigers are there and it is still a little rocky, which is to be expected because that is just the way pennant races are, but everything the Tigers sought is still very much on the table. How does going into goofy lineup mode after sweeping the White Sox in three straight games help? Or defending what turned out to be the indefensible when it is consider two one-run losses to a club that had been playing as poorly as any in baseball, the Indians, ensued? My gut feeling is this will pass. The Tigers will win the division (the White Sox are living on borrowed time with that pitching staff) and perhaps do well in the postseason. Overall, I still Leyland as one of the Tigers best managers of all time. I vividly recall the period between Sparky Anderson and Leyland's arrival and just what a mess that team was in the clubhouse, dugout and on the field. But this was unnecessary, and does not reflect well on the Tigers as an organization. And if the Tigers do stumble from this point forward, these two days will be remembered from here to eternity by baseball fans in this town. Why? Well, let me repeat. Ultimately, starting pitching is still baseball's most important factor. A rotation that pitches deeper into ball games is a bullpen's best friend. The Tigers' staring pitching is much better than the White Sox, especially now that Max Scherzer has maintained consistently strong performances. Justin Verlander, Scherzer and Doug Fister at the top of the rotation is the best thing the Tigers have in comparison to the White Sox..
White Sox ace Chris Sale is venturing into the land of the unknown as a young pitcher and a converted reliever. The velocity on his fastball was down during his start Sunday night against the Tigers compared to when he pitched previously at Comerica Park in July. He was relying on his breaking ball to an alarming degree. Jake Peavy has already thrown more innings this season than since 2007 - by far compared to most years. The White Sox could be living on borrowed time from their No.1 and No. 2 starters. Anybody impressed by what they saw from Francisco Liriano Saturday? He looked like he was laboring to me. As for the bullpen, rookie Addison Reed's numbers as a closer are suspect (4.18 ERA, 1.33 WHIP), and the performance of the White Sox other relievers has been spotty. The White Sox have some power, but the Tigers' lineup is stronger. The White Sox are better defensively, and that weakness, at times, has been glaring for the Tigers, but it hasn't been a factor in head-to-head games. The Tigers' Achilles Heel has been the road, but the White Sox are also a sub .500 road team to this point of the season (thanks primarily to their 1-8 record in Detroit). The Tigers do have four more road games remaining than the White Sox, although the White Sox have the more difficult schedule down the stretch in regard to strength of opposition. My live video chat Monday. We got into Michigan loss to Alabama and Denard Robinson/Al Borges issue, MSU win over Boise State, Tigers issues and Lions as their season approaches. Sports editor Jeff Kuehn joined me per usual. We do this every Monday at 1 p.m. I'm embarrassed to think I actually believed Michigan had a legitimate chance to win this game. What a rout. It has been every bit as embarrassing so far, or worse, than Michigan's State's humiliating bowl loss to Alabama a couple years ago. - Bigger, stronger, faster - that is the story of this game slanted toward Alabama. Not only is the Alabama line, on both sides of the ball, throwing around the Wolverines like rag dolls, it's amazing how the physicality of the Crimson Tide secondary is hindering Michigan's receivers. From that standpoint, it's understood why Al Borges keeps going to converted QB Devin Gardner during his first game at wide receiver. Gardner is big and strong and willing, although not polished at this stage. - Alabama would still be winning this game by a wide margin even if Fitzgerald Toussaint were playing, but the Wolverines would have much more of a fighting chance. Michigan's other options at running back aren't nearly as formidable. - I still believe Denard Robinson is a great football player. But he has about as much chance in this game as Davy Crockett at The Alamo. - That was a great play by Michigan defensive lineman Will Campbell to open the game. Where has he been since? - I'm tried of hearing about how Nick Saban is such a great game coach. His team is so good because his athletes are superior. Michigan didn't recruit well during the Rich Rodriguez era, regardless what the rankings said on signing day. This game was lost on those signing days. - Jalston Fowler, Alabama's fullback, sums up this football game. It's like RoboCop has entered the room every time he runs through a hole, either as a lead blocker or carrying the ball. - Michigan did rally from a 24-7 deficit last year to beat Notre Dame. Unfortunately for the Wolverines, Alabama isn't Notre Dame.